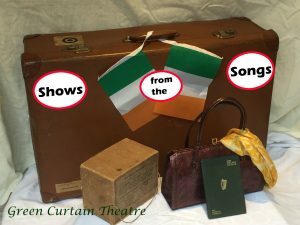 Join with the actors and singers from Green Curtain Theatre as we perform plays based on well known Irish Songs on the theme of ‘Leaving’ and other topics. We’ll be singing well know songs from Danny Boy to the Parting Glass. You can join in the singing if you so wish.